NOV 2 (Election Day) "Gourmet on the Go" foodie fundraiser in DTSA! “Gourmet on the Go” foodie fundrasier on November 2nd. Sign up at any Crepesbonarte food stop, or sign up at the event on November 2nd. 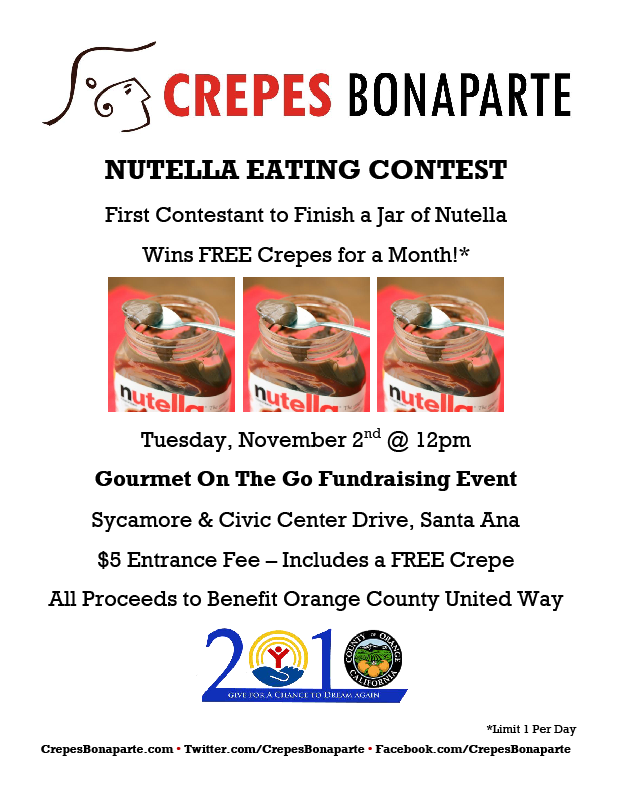 All proceeds will go to the United Way, and you get a free crepe just for entering. Do you have what it takes to eat a jar of Nutella?? Michelle to late for this event but if you need one for future events we love fund raisers!